Batteries are available in many shapes and sizes, from the tiny silver disc powering a wristwatch to the battery used to start a semitrailer. Beyond size and shape, there are dozens of battery chemistries to choose from. 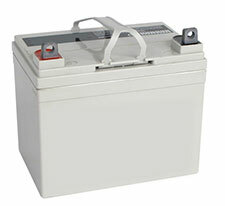 Lead-acid batteries are the most commonly used batteries and come in several different configurations. The oldest of the lead-acid battery types are flooded-cell (or wet-cell) batteries and can be either the sealed or the open variety. In both types, the electrolyte evaporates due to charging, age, or ambient heat. 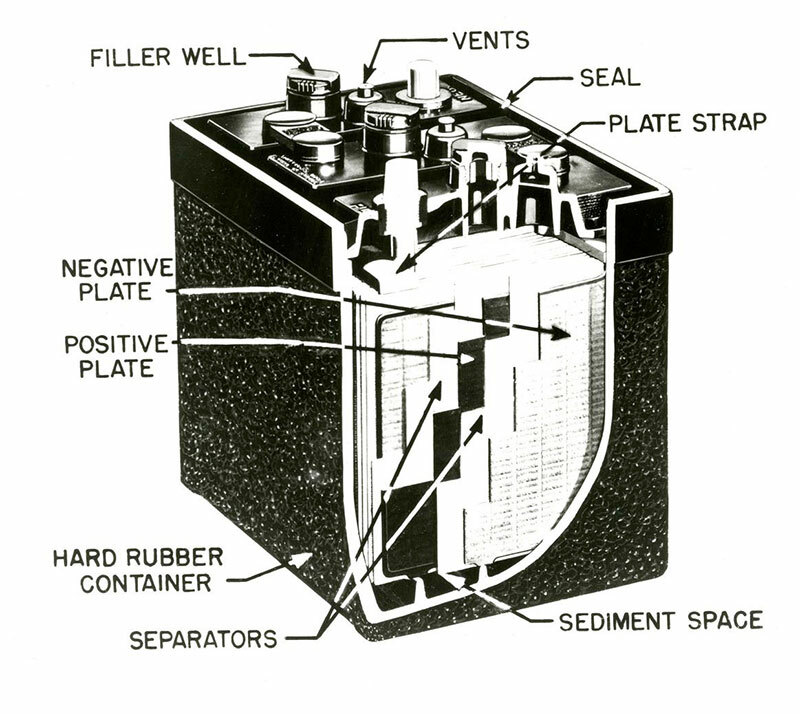 In the mid 1970s, a “maintenance-free” valve-regulated lead-acid (VRLA) battery was developed. VRLA batteries can be absorbed glass mat (AGM) or gel cells. Solar Stik uses AGM batteries in its lead-acid products. Uses absorbed glass mats between the plates. It is sealed and maintenance free, and the plates are rigidly mounted to withstand extensive shock and vibration. Features a thin fiberglass felt that holds the electrolyte in place like a sponge. Nearly all are recombinant, meaning they can recombine 99% of the oxygen and hydrogen, resulting in almost zero water loss. Same charging voltages as for other lead-acid batteries. Even under severe overcharge conditions, hydrogen emission is below the 4% specified for aircraft and enclosed spaces. The low self-discharge of 1 to 3% per month allows long storage before recharging. Generally more expensive than a flooded-cell battery of the same capacity. Usually found in applications where high performance is demanded. Feature an electrolyte that has been immobilized using an agent like fumed silica. Can never be charged to their full potential. 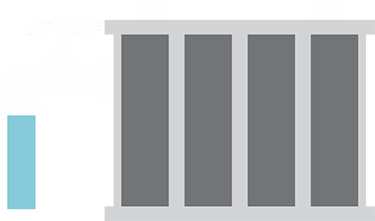 VRLA batteries remain under constant pressure of 1–4 psi. 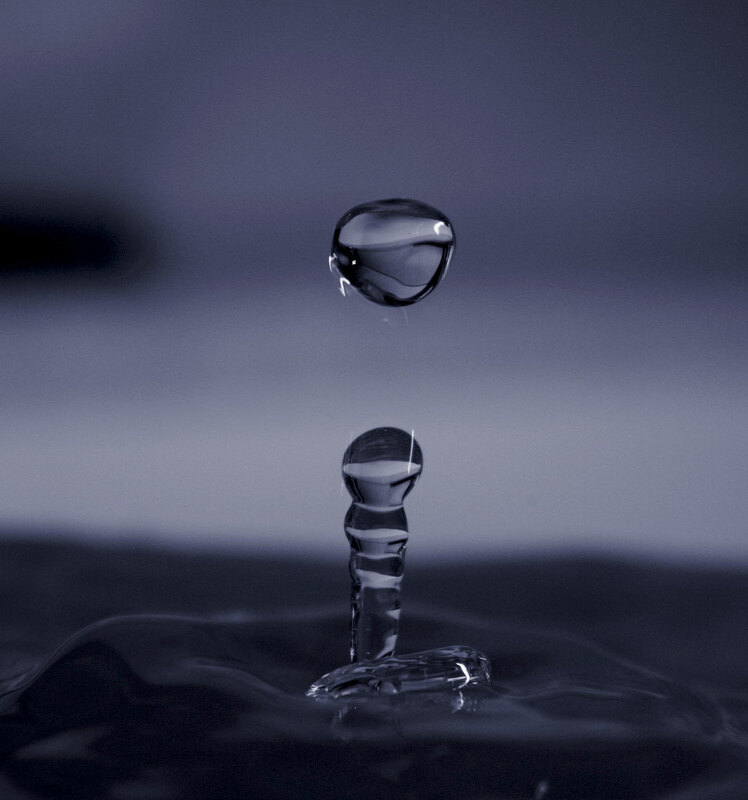 This pressure helps the recombination process during charging when more than 99% of the hydrogen and oxygen generated are turned back into water. Unlike the flooded lead-acid battery, VRLA batteries are designed with a low overvoltage potential, which prohibits the battery from reaching its gas-generating potential during charge. This safeguard prevents excess charging, which would cause gassing and electrolyte depletion. Lead-acid is the oldest rechargeable battery technology in existence. Invented by the French physicist Gaston Planté in 1859, lead-acid was the first rechargeable battery to be used in commercial applications. More than one hundred fifty years later, we still have no real cost-effective alternatives for cars, boats, RVs, wheelchairs, scooters, golf carts, and UPS systems. The lead-acid battery is still the most widely used 12 V energy storage device. A lead-acid battery is an electrical storage device that uses a chemical reaction to store and release energy. It uses a combination of lead plates and an electrolyte to convert electrical energy into potential chemical energy and back again. 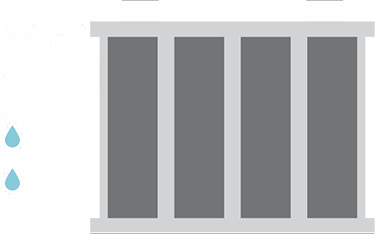 There are many newer battery technologies available in the marketplace. However, lead-acid technologies are better understood and are widely accepted as the standard by which all other batteries are measured. Newer technologies often have operational constraints, including maximum and minimum operating temperatures and special charging requirements that make them less versatile and useful for the average consumer in everyday applications. Solar Stik uses only lithium iron phosphate (LiFePO4) battery chemistry in its lithium-ion energy storage products because it has safety characteristics similar to lead-acid batteries. LiFePO4 uses a nonflammable electrolyte, so when it’s completely discharged it becomes inert, making it safe for users. So why do we hear so much about dangerous lithium battery fires? In some lithium-ion polymer batteries, improper charging and storing can cause the formation of crystalline “needles” that can puncture the internal separator, resulting in failure or fire. This is not the case with LiFePO4 batteries because the reactants that store the charge are not flammable. All other lithium battery chemistries are volatile, reactive, and flammable, and if they do overheat and catch fire, conventional halon fire extinguishers will not put out the fire. Common LiFePO4 cell types include cylindrical and prismatic (LiFePO4 chemistry is not packaged in pouch cells, another lithium cell type). It is easy to see how these were named, as they are actual descriptions of their physical attributes; they look like what they sound like. LiFePO4 cylindrical cells are all made of the same basic components. Each cell, and the entire battery, is enclosed by a resilient plastic container. Inside the container there is a “rolled” foil, and between the foil there is a layer of permeable “separator” material. A safe, nonflammable electrolyte (unique to LiFePO4) is added to each cell and saturates the “foil” and “separator”. The battery terminals are typically threaded (rather than posts) so that heavier-duty connections can be made to the load. LiFePO4 prismatic cells make optimal use of space by using the layered approach. 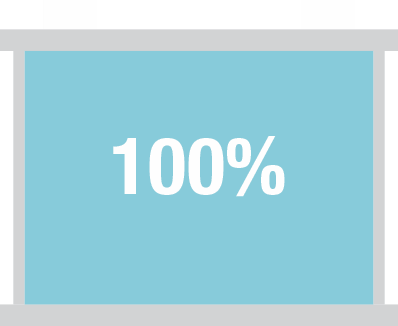 Small, flat versions are used in mobile devices where space is at a premium. The terminals can be oriented in any direction, which is an important feature for handheld devices. The smaller formats often have a softer, more flexible exterior and are sometimes referred to as pseudo-prismatic jellies. Larger versions of the prismatic format are used to power vehicles and are often housed in welded aluminum housings. Stronger exterior housings are often required to compensate for the structurally softer inner construction of the prismatic format. 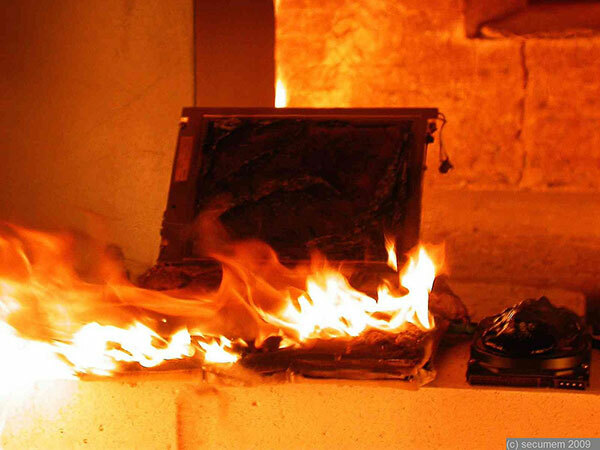 Less efficient thermal management is inherent in their design, and overheating can reduce the life cycle and cause the cells to swell. 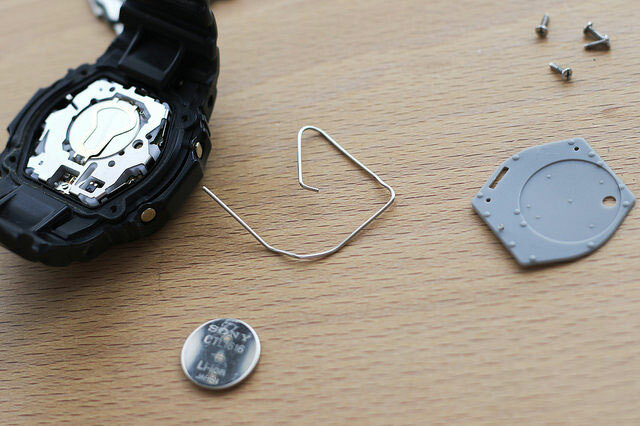 If this occurs, remove and replace the battery before there is any damage to the component using the battery. LiFePO4 is slightly less powerful than other commercially available lithium chemistries, but for many applications, the safety of its chemistry makes it the best choice despite its lower energy density. 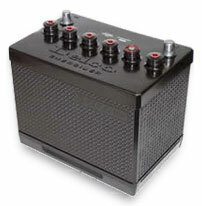 A LiFePO4 battery can be installed safely in any orientation. Safety vent valves are usually not required because the battery management system (BMS) will not allow the battery to overheat and vent gasses. Experimental lithium batteries were developed as early as 1912, but it took nearly 70 years before a commercial lithium battery was developed for a wide market. Today, lithium batteries are most associated with enhancing “portable” capabilities. 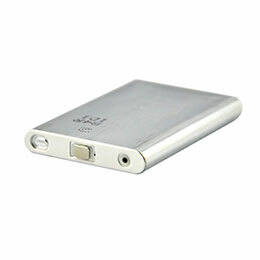 For example, they are the standard battery technology for high performance in portable electronics ranging from cell phones to laptop computers. There is a diverse family of lithium chemistries available. At first glance, they might all seem to be the same, but there are exploitable, distinct differences between them. The unique nature of the various chemistries allows each type to fill special application niches. Even with wide market adoption in the early 1990s, as societal demands for lightweight portable electronics was burgeoning, the high cost barrier and complexities in battery management circuits would prevent lithium batteries from being used widely in support of larger devices or in scaled energy-storage systems such as large vehicles or uninterruptible power supply (UPS) systems. Today, lithium battery technology continues to evolve at a rapid pace. Manufacturers, driven by demands from new applications, are constantly pushing the envelope by making changes in the chemistry and structure in search of improved battery life and greater energy density. Batteries are not a one-size-fits-all solution. Selecting the best battery for an application requires knowing the load requirements and operating conditions. Lithium batteries provide power at almost full capacity regardless of the discharge rate. 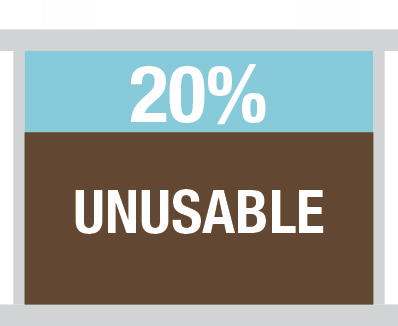 When they are discharged at a high rate, no change in power output is seen until the last 10 or 20%. At this point power is still available, but at reduced voltage and rate. Overall capacity (in amp hours) can be deceptive because a lithium battery can be deeply discharged, effectively using nearly all of the rated capacity. By contrast, lead-acid batteries are held to 50 to 70% of the capacity during discharge in order to extend battery life. For this reason, many people consider a lithium battery of the same capacity to actually have roughly twice the usable capacity of a lead-acid battery. 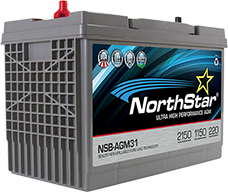 Deep-cycle Batteries: A deep-cycle battery is designed for maximum energy storage capacity and high cycle count, or long life, and is rated in amp hours (Ah). These attributes are achieved by installing fewer and thicker lead plates with limited surface area. Typical applications for deep-cycle batteries are boats, golf carts, wheelchairs, solar applications, RVs, and uninterruptible power supply (UPS) systems. Engine-starting Batteries: Starter batteries are made for maximum power output and are usually rated in cold-cranking amps (CCA). The battery manufacturer achieves this maximum, short-burst output by combining many thinner lead plates to obtain larger surface area for maximum conductivity. Typical applications for engine-starting batteries are cars and motorcycles. Battery storage capacity and deep cycling are less important in automotive applications because the battery is being recharged while driving. If continuously cycled, the comparatively thin lead plates of a starter-type battery would wear down rather quickly. The operational characteristics of the lead-acid battery can be explained best by the terms capacity and cold-cranking amps (CCA). Capacity is the amount of energy a battery can store. It is usually given in amp hours (Ah), or the amount of current measured in amps that the battery can provide over a period of one hour before rendering the battery discharged. The secret of any battery’s runtime lies in the battery’s plate capacity. During charging and discharging, the lead on the plates gets gradually eaten away and the sediment falls to the bottom. The service life of a lead-acid battery can be measured by the thickness of the positive plates. The thicker the plates, the longer the life will be and the more energy storage you can expect. The plates of automotive starter batteries are about 0.040 in (1 mm) thick. Forklift batteries may have plates that exceed 0.250 in (6 mm). A typical golf cart battery has plates that are 0.07–0.11 in (1.8–2.8 mm) thick. The weight of a battery is another good indicator of the lead content and the life expectancy. Generally speaking, the heavier the battery, the more lead it contains and the longer it will last. 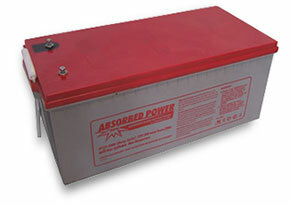 Most industrial flooded deep-cycle batteries use lead-antimony plates. Antimony is a metal that stiffens the lead plate and helps prevent battery failure due to structural failure of a plate. This improves the plate’s life but increases gassing and water loss. 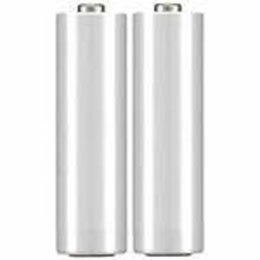 Antimony is not necessary in AGM batteries due to the rigid construction of the overall battery. Cold-cranking amps (CCA) is the amount of energy a battery can deliver in short bursts. It is the maximum amount of current (amps) that a battery can deliver at 0 °F for 30 seconds without dropping below 7.2 volts. A high CCA battery rating is good, especially in cold weather. Starter batteries are often rated in CCA and are designed to deliver a short-duration burst of power, such as that required to start a vehicle. 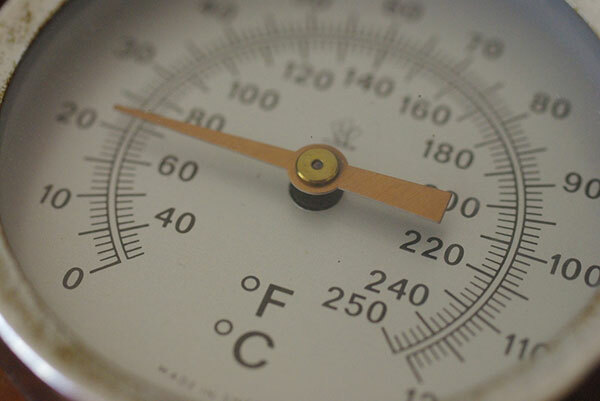 Age and environmental conditions can affect the capacity and the CCA. As a battery ages, capacity and CCA will not degrade at the same rate. CCA tends to stay high through most of the battery’s life, but it drops quickly towards the end. If you drive a car, you’ve probably experienced this when, near the end of the battery’s life, suddenly the battery won’t start the car in the morning. Capacity decreases gradually. A new battery is designed to deliver 100% of its rated capacity. As the battery ages, the capacity steadily drops and it should be replaced when its ability to store power falls below 70% of its original rating. The overall health of a battery is most directly related to its capacity, not its CCA. As noted before, the CCA remains within the optimal range for most of a battery’s life, so performance and health declines will be most notable in the loss of capacity. The illustration shows two fully charged lead-acid batteries, one with a high capacity and one that has aged. The buildup of visible “rock content” (crystalline formation, also called sulfation or memory) due to aging robs the battery of usable capacity, although the battery may still provide good cranking power. The energy density of a lithium battery is significantly higher than other battery chemistries. For example, a lithium battery that weighs 35 kg will provide the same amount of energy as a lead-acid battery that weighs 70 kg. This is a highly desirable feature when considering the portable power market. Additionally, lithium batteries can endure more charge/discharge cycles than other chemistries. The conversion efficiency of a battery denotes how efficiently it converts an electrical charge into chemical energy and then back again. A higher efficiency (expressed as a percentage) means that less energy is converted into heat (heat is lost energy) and that the battery can be discharged faster without overheating—assuming all other factors are equal. Lead-acid batteries are not 100% efficient at converting charging amp hours back into stored amp hours. One of the main reasons why lead-acid batteries dominate the energy storage market is that the conversion efficiency of lead-acid cells is 85 to 95%. Generally speaking, this is often much higher than other types of rechargeable battery technologies. However, even at 90% efficiency, it will take approximately 110 Ah of charge to replace 100 Ah of consumed capacity from a lead-acid battery. The lower the internal resistance of a battery, the better its conversion efficiency will be. This is another reason to avoid the buildup of “rock content”, which increases the resistance of the battery similar to the way a buildup of solutes within a pipe decreases the flow rate of water through the plumbing. The conversion efficiency of lithium batteries is virtually 100%. Lithium batteries have a very low internal resistance, and that is one reason they are both more efficient and more powerful than other batteries, pound for pound. No other batteries are as close to 100% efficient at converting charging amp hours back into stored amp hours. The efficiency of lithium batteries and their low internal resistance are some of the reasons why they may recharge three to four times more quickly than lead-acid batteries. However, this also means they put a higher demand on conventional alternator or generator charging systems, so the entire system should be engineered with these differences in mind. The voltage of a battery is the amount of electromotive force (or the amount of push) that moves electrons from negative to positive fields. The voltage of a lead-acid battery is a direct indication of its state of charge (SOC). Voltage is a function of the specific gravity of the electrolyte at the place in the battery where the chemical reaction occurs. Specific gravity is a measure of the health of the electrolyte in a lead-acid battery. A measure of the density of the liquid electrolyte compared to the density of water at a specific temperature and pressure. The chemical reaction takes place inside the pores of the active material on the battery’s lead plates. If the battery has just been charged, the electrolyte in the pores of these lead plates is very rich in sulfuric acid. As a result, the battery’s voltage will be high, perhaps as much as 13 to 14 volts. As the battery rests following a charge, its voltage slowly drops and then levels off as the electrolyte stabilizes its chemical state between the plates. A similar change in battery voltage occurs during discharge. During the battery discharge process, the electrolyte transfers its sulfur content to the lead plates. 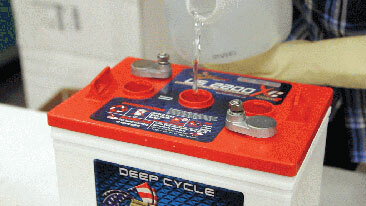 As the electrolyte loses sulfur, its specific gravity gets “lighter” or closer to that of water, indicating that the battery has been discharged. Because the specific gravity of the electrolyte is measurable, it can be used to determine the state of a battery’s charge and health. While a fully charged battery may read 12.68 volts, the voltage will drop and then stabilize at a somewhat lower value as a load is applied. 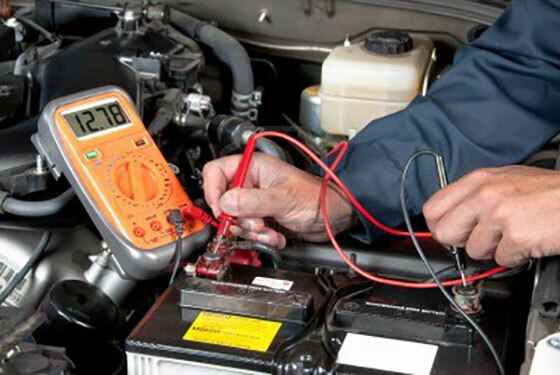 The change in voltage occurs even though the state of charge of the battery has not significantly changed. This is due to the local electrolyte in the pores of the plates becoming less rich in sulfur as the battery supplies current. As the battery discharges, electrolyte more like sulfuric acid enters the pores while electrolyte more like water exits the pores. As discharge continues, the electrolyte in the pores eventually stabilizes at a specific gravity somewhat lower than the average value in the battery, producing the slightly lower battery voltage. A battery management system (BMS) ensures that individual battery cells are charged and maintained optimally. 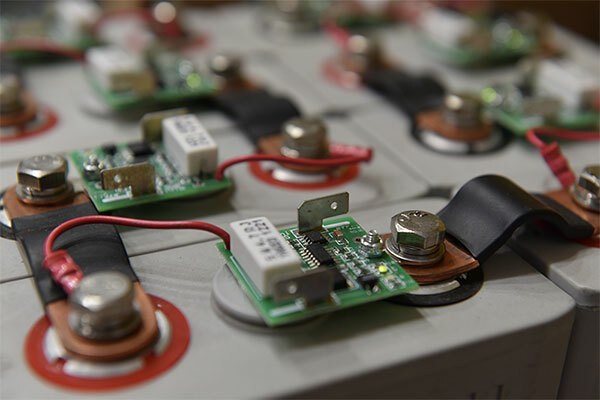 In a working configuration, lithium batteries usually require unique charging times, voltages, and amperages, and they can be easily and permanently damaged if they are not used with a proper BMS . Cell damage can range from significantly shortened life to general poor performance, and in extreme cases a damaged cell can overheat, causing an explosion or fire. While it will not spew caustic electrolyte like a lead-acid battery, it will likely be a memorable event. The role of the battery management system (BMS) is simple: It controls the actual voltage of each cell, so that it doesn’t get too high or too low. BMS means different things to different people. To most it is simply battery monitoring, keeping track of the key operational parameters—such as voltages, currents, and the battery internal and ambient temperature—during charging and discharging. The monitoring circuits normally provide inputs to protection devices which would generate alarms or disconnect the battery from the load or charger if any of the parameters stray out of limits. Protecting the battery from out of tolerance operating conditions is fundamental to all BMS applications. In practice the BMS must provide full cell protection to cover almost any eventuality. Operating a battery outside of its specified design limits will inevitably lead to failure of the battery. Apart from the inconvenience, the cost of replacing the battery can be prohibitive. This is particularly true for high voltage and high power automotive batteries which must operate in hostile environments and which at the same time are subject to abuse by the user. This is an essential feature of BMS. More batteries are damaged by inappropriate charging than by any other cause. While not directly related to the operation of the battery itself, demand management refers to the application in which the battery is used. 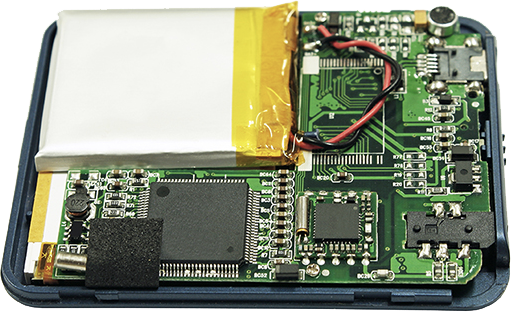 Its objective is to minimize the current drain on the battery by designing power saving techniques into the application’s circuitry and thus prolong the time between battery charges. Many applications require a knowledge of the state of charge of the battery or of the individual cells in the battery chain. This may simply be for providing the user with an indication of the capacity left in the battery, or it could be needed in a control circuit to ensure optimum control of the charging process. The state of health is a measure of a battery’s capability to deliver its specified output. This is vital for assessing the readiness of emergency power equipment and is an indicator of whether maintenance actions are needed. The many cells that constitute a battery can sometimes charge and discharge at different rates, depending on the cell temperature, age, and factors that occur during manufacture of the cells. Over time, these differences will become amplified if they are not corrected. It is important that while charging and discharging, the balance between all cells is maintained. If cells are out of balance, the entire battery pack is shut off when the weakest cell drops below the lower voltage limit, even if other cells are still not completely discharged. Cell balancers are usually placed throughout the cell circuit in order to maintain a balanced charge throughout the entire battery and thereby extending the life of the battery. To minimize performance differences, BMS components called Protection Circuit Modules or Protection Circuit Boards (PCMs or PCBs) are connected to each cell. The PCBs constantly monitor and report critical parameters of each cell and make small adjustments to correct for any differences between cells. Balancing or equalizing all parameters of each cell in a battery is critical to ensure full life and capacity from a lithium battery. Monitoring and storing the battery’s history is another possible function of the BMS. This is needed in order to estimate the SOH of the battery, but also to determine whether it has been subject to abuse. Parameters such as number of cycles, maximum and minimum voltages and temperatures, and maximum charging and discharging currents can be recorded for subsequent evaluation. This can be an important tool in assessing warranty claims. The BMS also allows the possibility to record information about the cell, such as the manufacturer’s type designation and the cell chemistry, which can facilitate automatic testing, and the batch or serial number and the date of manufacture, which enables traceability in case of cell failures. 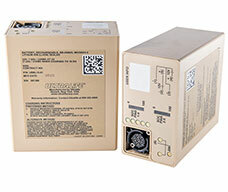 Most BMSs incorporate some form of communications between the battery and the charger or test equipment. Some have links to other systems interfacing with the battery for monitoring its condition or its history. Communications interfaces are also needed to allow the user access to the battery for modifying the BMS control parameters or for diagnostics and testing. As soon as the BMS senses that the cell voltage is too low to discharge, time is of the essence to place the batteries on charge. Failure to do this may cause a fatal error known as “bricking”. Once the batteries reach their internal disconnect voltage, the voltage can fall very rapidly in the internal cells, causing the battery to brick. This means that the battery cells are nonrecoverable, and the battery module must be replaced.